Nottingham Forest is a friendly neighborhood in the Memorial area in West Houston. The "Kickerillo" Companies developed Nottingham Forest during the 1960', where homes range from stately Colonial to Spanish and Traditional. 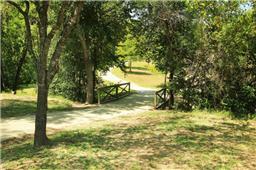 Much of the subdivision is nestled along the winding trails of Buffalo Bayou and the county's "Terry Hershey Park". The Hike and Bike Trail is the main element in Terry Hershey Park, which is approximately 12.5 miles of concrete trails. There are other features, including restrooms, gazebos, a lighted walking trail, exercise stations, playground, and picnic sites. 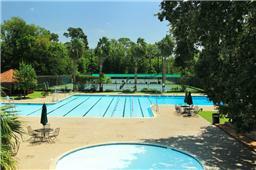 Many families living in the neighborhood enjoy the amenities of the Nottingham Forest Club. This private club is within walking distance to some sections and features swimming pools, tennis courts, basketball courts, a playground, and a clubhouse for parties and events. The club is also home to the Nottingham Forest Shark Swim Team. Home values continue on the upward trend during this year, 2013. Current price ranges vary between the $300's- $700,000.'s. New construction is now beginning, with price ranges in the $800-900,000's range. Click here for a current list of homes for sale ... remember inventory changes daily! Students who live in Nottingham Forest attend schools in Spring Branch Independent School District. Young children attend Meadow Wood Elementary just across the street while older students attend Spring Forest Middle and Stratford High School. Other choices for students ages 6-12 are The Westchester Academy for International Studies and exemplary Cornerstone Academy. Now is a good time to sell or buy in Nottingham Forest. With the continued demand for Memorial homes and the low inventory of homes for sale, most likely prices will continue to rise. Broker Associate,Kay Robbins of RE/MAX Top Realty, sold the "Top" 2 resale homes year to date, 2013. Call Kay at 713-558-2520 or email Kay if you are in the market to sell or buy. Come experience "Top" expertise and service with one of the Top agents in the market!